My Beauty Bunny – is in love with Beautisol’s Healthy Glow! Enter to Win Beautisol Products! Nouveau Cheap – Come see why the new Rimmel by Kate Moss Matte Lipsticks DON’T have me humming the Beverly Hills, 90210 theme song (in this case, that’s a good thing!). Prime Beauty – tries out this fun and fresh spring look with Lancome’s In Love Spring 2013 Makeup Collection! Did she achieve her goal? Phyrra – has found a miracle daytime moisturizer, the Josie Maran Argan Daily Moisturizer SPF 40. Vampy Varnish – Actually found a concealer that doesn’t make her look older in the new NARS Radiant Creamy Concealars out now! we heart this – polish fanatics; have you seen the new for spring Sheswai Lacquer shade called Dig It? It’s a grass green with a touch of grey, and it’s ALL kinds of fabulous! Clumps of Mascara – usually loves Maybelline mascaras, but Maybelline The Rocket ‘VolumExpress was just so so to her. EauMG – has been fighting the flu all week. Luckily, I have found some comort in this perfume by Bottega Veneta. Gouldylox Reviews – I asked, you answered. The results of the first ever Gouldylox Best Deep Conditioner (super informal) poll are in! Lipglossiping – goes all out glitzy and talks about whether we need GOLD in skincare. Is it for fools only? 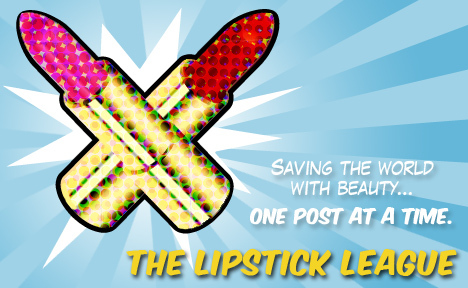 Guest Post of the Week, as chosen by My Beauty Bunny is Moxie Reviews!